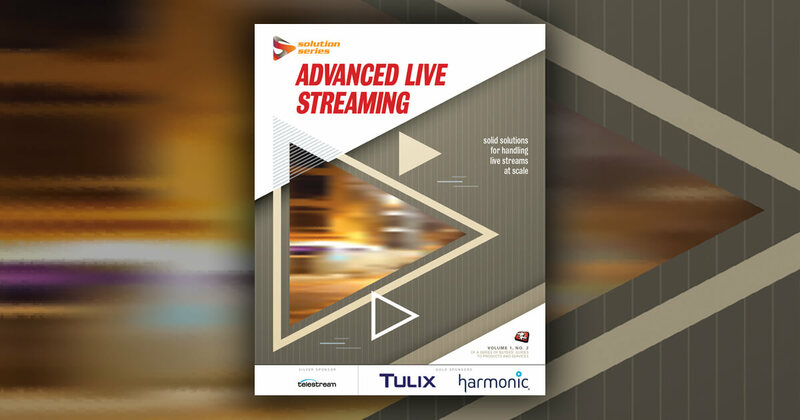 Learn more about next-generation codecs at Streaming Media's next event. Tim Siglin: Welcome back to Streaming Media West 2018. I'm Tim Siglin, contributing editor with Streaming Media Magazine and the founding executive director of Help Me! Stream. Today I've got Mark Donnigan, VP Marketing from Beamr. Mark, good to have you. Mark Donnigan: Great to be here, Tim. Tim Siglin: Awesome. We did a report together, Streaming Media did a report with you on HEVC adoption. How has that report been for you all in terms of exposure? Mark Donnigan: It was very interesting. It validated, of course, what we were seeing in the market, but it's always good to reach out and talk to a broader group of industry professionals and executives and you know the data. I am happy to talk both what we found, now I guess about nine months ago, in terms of codec adoption. Tim Siglin: Give us a quick synopsis of what we found nine months ago. Mark Donnigan: We really were asking about both the attitude of new codec, such as HEVC, VP9, AV1, as well as the incumbent AVC. At the time, if I recall correctly, 77% of those who responded--which was more than 400--were primarily in the engineering function. Which was really great because these are people who are kind of the rubber meets the road. Tim Siglin: The nuts and the bolts. Mark Donnigan: The nuts and the bolts. They're operating the encoding functions. 77% reported, as you know, that HEVC was viable for them to replace H.264 even down to HD. And for 4K it's a given. Tim Siglin: I do think that was one of the misconceptions or misperceptions, perhaps, that we had in the industry was that you would use HEVC only for 4K. What we found in that report was people were willing to look at it in several HD flavors. Mark Donnigan: That's right. And this is now nine months; I think we even started our principal research almost a year ago. So, the situation has even advanced quite nicely in the last year, nine months or so, to the point that now we have major operators who are surveying their customer bases. In the case of one that I can talk about, they reported back that more than 50% of their households had the ability to playback HEVC on at least one device. In most cases it was more than one device. We can just do a quick anecdotal; you can think that any UHD-TV that's been purchased in the last about three years has an HEVC decoder in it so that takes care of the big screen. There's a lot of households, especially in the U.S. who have new TVs. So, you can assume maybe more than half of households decode their iPhone 6 forward now supports HEVC. Almost all of the latest Android devices, especially the mid, by the time you get to the upper handsets, they all support HEVC native. Game consoles, Roku, in fact, I believe the new Roku box they lowered the price like $39, fully HEVC 4K. Tim Siglin: Now, I was going to say, some of those solutions essentially capped it at 4k, you couldn't go below. Now were starting to see that it's trickling down in the 1080P. Mark Donnigan: Absolutely. And so what's happening in the case of the operators that were talking to and working with everyday, they're now seeing it as very viable that they don't to limit HEVC codec only to their 4K resolution content. That's what's really special because we're now getting into a world, we like to call it all-in HEVC, which is to say that the promise of up to a 50% reduction in bandwidth. I say “up to” because, of course, it's content-dependent and we all know there's factors there, but it's a significant enough reduction that if you extend that across your whole ABR ladder, now you're really experiencing the benefit of the savings. Tim Siglin: So, one of the things that came up earlier in one of the conversations I was having with another interviewee was just the pain of putting a second codec into a solution. In this case, they were trying to put VP9 in, they said they'd been H.264-centric and it was much more than just plugging a codec in. They had to redo the pipelines. I think one of the things we found in that study was that there were a number of people who had AVC pipelines who actually were integrating HEVC directly into that same pipeline. Tim Siglin: Has that continued to be a trend? Mark Donnigan: And we’re even deploying or planning to deploy in an integrated workflow. So, for example, at Beamr we've just recently introduced our first transcoder. Most people would know us as being a codec developer. Still, we're very much about the video engine. We have a very large team focused on that. But one of the things in developing our transcoder is that it is full multi-codec. So, for example, you can create a full ABR stack that's mixed-codec so if, for some reason, you needed HEVC at the top-end resolutions you still needed some lower profiles, maybe for developing regions or just less expensive devices that are AVC, then that single instance, a single transcoder instance can create that full ABR stack for you. Tim Siglin: So, one last piece, just to clarify; when you talk about the all-in's, you're not talking about abandoning AVC at the moment, you're talking about people that've said we're going to go forward with an HEVC solution. Tim Siglin: And eventually replacing AVC. Mark Donnigan: Exactly. I think it's not really feasible, or really realistic because there's plenty of applications where there's households or where there's even use cases, even in-car entertainments systems. If I'm driving even a three-year-old car, my in-car entertainment system does not support HEVC, unfortunately. Tim Siglin: And it probably doesn't even support AAC. It supports MP3. Mark Donnigan: Exactly. So, we are talking about a dual-codec strategy that I think what the good news here in the story is that it's very possible to deploy and to deploy it without the complexity that maybe some are assuming are there. Now, everybody's infrastructure is different and their architecture's different. But, this is really happening that it's now time for the industry to begin thinking that HEVC does not equal 4K and 4K does not equal HEVC. HEVC is the next-generation codec. Tim Siglin: And I think what was great about the report, and I'm glad that it's working for you all, was we were looking at real-world insights--not just are you going to adopt, but as you've adopted, what are the things that you're learning? Mark Donnigan: Yeah, that's right, that's right, that was very good. Tim Siglin: Mark, thank you very much for your time.